VCU Adjunct Art Teachers Holding Campus Rally for Better Pay | Arts and Culture | Style Weekly - Richmond, VA local news, arts, and events. 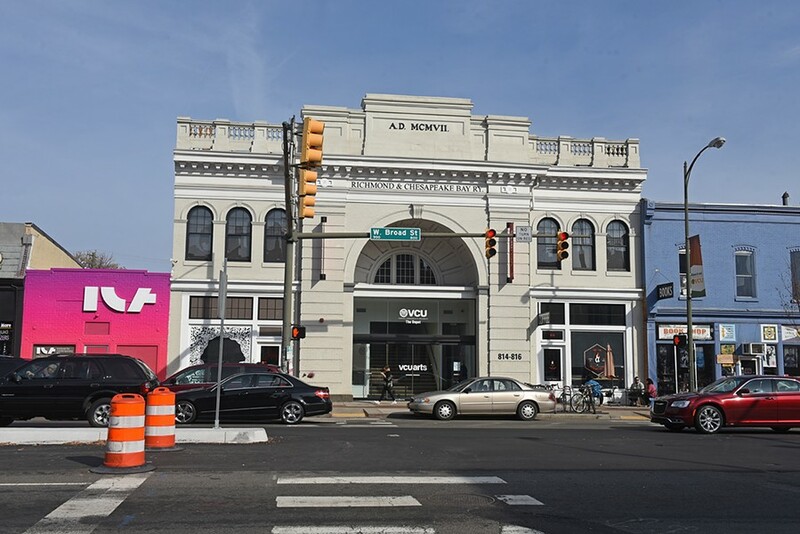 The renovated VCUArts Depot, at 814 W. Broad Street, held in November one of its largest meetings in 40 years to discuss the low rate of pay for adjuncts. A group of adjunct arts professors at Virginia Commonwealth University has circulated a petition calling for a pay increase to $2,000 per credit hour. The part-time teachers had been making $800 per credit taught, a number scheduled to increase to $1,000 per credit for the spring semester. The group, VCUarts Adjuncts Organizing for Fair Pay, is holding a rally and petition drop on the morning of Friday, Dec. 8, at the school’s James Branch Cabell Library. Complaints about pay for part-timers and other faculty are not a new issue at the school. Shawn Brixey, the new dean for the School of the Arts, already has worked with the administration to approve the 25 percent increase for adjunct pay this spring, using reserve funds. The administration is seeking permanent funding in the 2018-2019 budget with a minimum adjunct pay goal of $1,000 a credit hour that will be sent to the board of visitors for approval, Brixey says via email. In a trend that can be seen throughout the country, the number of adjunct professors has increased dramatically over the last couple decades as schools find ways to cut costs to offset lower state funding. The VCU School of the Arts currently employs 202 adjuncts, or about 50 percent of its entire faculty, according to school officials. Adjuncts have never been considered full-time employees and their maximum teaching load, in accordance with the Manpower Act, is limited to 29 hours per week. These part-time teachers make around $10,000 a year, which ranks them last out of U.S. News top-rated 10 art schools, according to the petition. VCU regularly ranks among the top three public art schools in the country. The protesting adjuncts’ group has been around for six months with a fluctuating membership. Many choose to remain anonymous for fear of losing contract renewals. Brixey admits that adjunct compensation is market-driven and that the market indicates that VCU needs to “increase adjunct compensation overall” to be more competitive. But he notes the fiscal reality that budget cuts occurred last year, which leaves little discretion “beyond meeting unavoidable costs.” Throughout the years, tuition increases have, for the most part, replaced state funding cuts. He adds that the university’s administrative costs are “very low compared to like institutions” and that he’s working on generating new revenue streams to ease the tuition burden. The teacher’s group began sending letters to university President Michael Rao and Brixey in October. On Nov. 15, a meeting was held at the Depot to address their concerns with Brixey in attendance, who announced that his office had accessed reserve funds to increase adjunct pay to $1,000 per credit hour for the spring. Reaction from the crowd of about 80 adjunct and full-time professors and students was mixed. “There are a lot of people who are hopeful,” Trepanier says. “Others are bitter and angry and feel they’ve been treated poorly for a long time, and they’ve heard it all before. I don’t think there’s any consensus.” Trepanier adds that diversity issues of staff are also impacted by the low pay, considering not many can afford to work for so little money. Brixey is in favor of tying adjunct faculty pay increases to full-time faculty raises and also announced that he is in the process of forming a task force to focus on research funds and professional development for adjuncts. “We need to get a full picture of what the other issues are, outside of compensation, before we can evaluate them and address them,” Brixey says.